First off, I wanted to thank everyone for your nice comments on Sharon's quilt. I finally folded it up to get ready to ship out tomorrow. It's going to be hard letting it go! 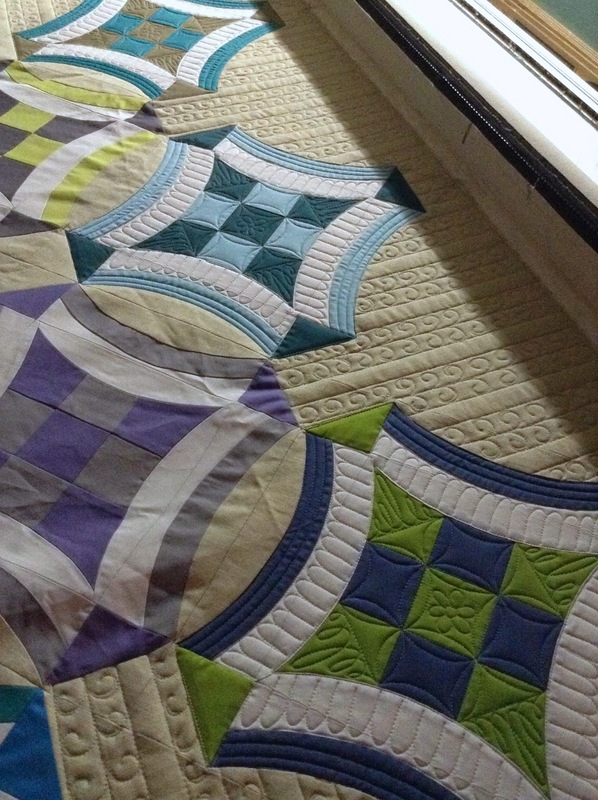 I've started quilting this super fun Urban Nine Patch quilt. ...and in case you're wondering why I chose the quilting designs I chose. 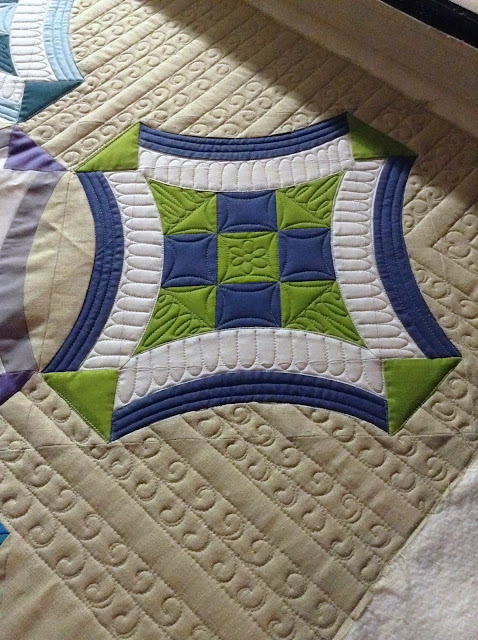 Stephanie@peasinapod, the owner of this fun quilt, themed her colors around some super fun fabric. 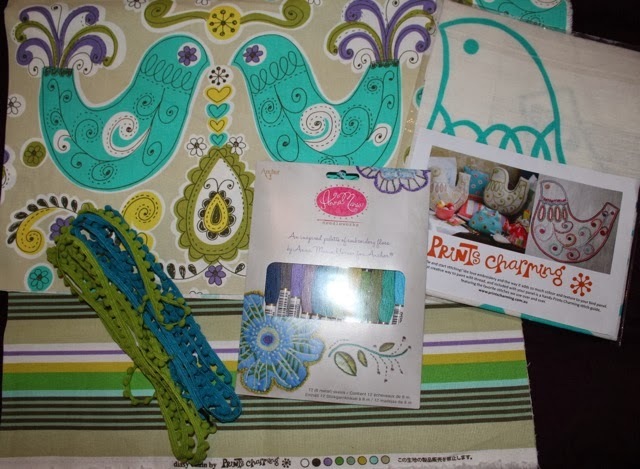 She was hoping I could do some quilting that would also be inspired by this fabric. She did mention she wanted it quilted similar to how I originally quilted mine up....so I had a good base to start with. I also wanted to put a shout out to anyone living in the Phoenix area. My sister Helen is going to be demoing the Quick Curve Ruler tomorrow morning from 10-12 at the Quilters Ranch in Tempe! !